Frank Lloyd Wright’s Fallingwater in western Pennsylvania is one of the very first architectural iconic buildings I ever visited. Though I’d researched it a lot in college, visiting allowed me to experience the house in person. This matters because what you see in pictures is never the same as being there. On this visit, I felt the significance of scale and sensory connection. There was something mysterious about walking into the building because the way the entry is situated is never shown in photos. Wright was a master of manipulating the scale of a space. At first, it gives a claustrophobic feeling before opening into some of the bigger rooms. As you move in, the rooms reveal themselves. The entryway was typical; the doorways throughout the house are low and narrow. The scale changes, there are streams of light, the rooms feel vast even when, on paper, they are fairly modest in size. The change of scale gives an expansive feel. Enhancing this, my eyes went to whatever each room looked out onto. Each view is unique. 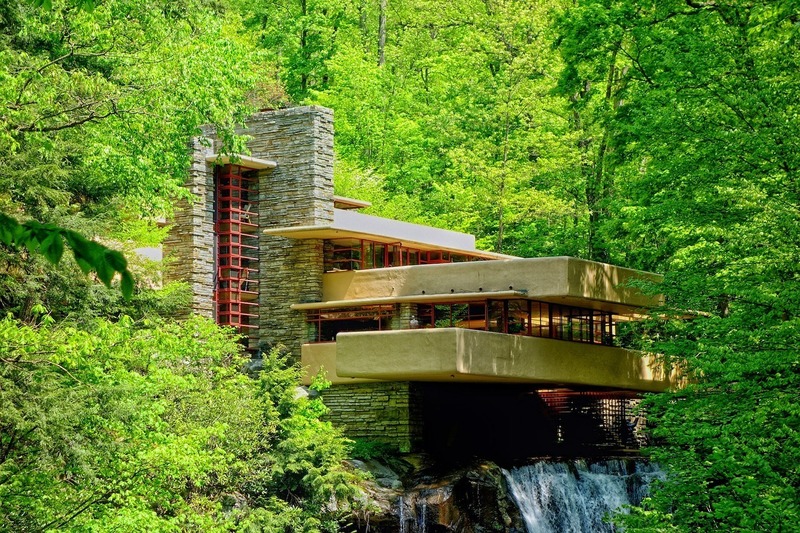 For me, Fallingwater has always been in the back of mind, even though not all of my projects allow me to bring that essence or philosophy so much into play. Yet for our hospitality and residential work, I always try to bring in change of scale and be mindful of how this affects the space or the experience of that room. That whole experience back then has become more apparent because, though I’ve always tried to find such design opportunities, there is now more ability to communicate this to clients. What helps is that today we have the technology that allows clients to experience the project in 3D even before it is built.